February 19, 2019, WILL hired Miles Bent as the new Program and Communications Manager. June, 2018, WILL’s Steve Abraham was elected President of the Landon School Alumni Association Board of Directors. 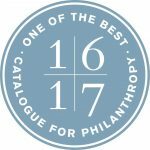 June 12, 2017, WILL is elated and honored to have been selected to be re-featured in 2017-2018 Catalogue for Philanthropy, to have been in the Catalogue since 2012, and to continue our partnership with the Catalogue as one of the best community-based nonprofits in the Greater Washington region. June 3, 2017, WILL hires Tiffani Ross as full-time Program & Communications Manager. December 6, 2016, WILL selected for 2017 Compass Micro-Project focused on Board Development. May 2016, WILL is thrilled and honored to have been selected to be re-featured in 2016-2017 on the Catalogue for Philanthropy’s website, to have been in the Catalogue since 2012, and to continue our partnership with the Catalogue as one of the best community-based nonprofits in the Greater Washington region. December 15, 2015, WILL selected for 2016 Compass Micro-Project focused on individual funding strategies. October 23, 2014, Steve Abraham, WILL Founder and President, named one of five Washington, DC Scottish Rite Community Service Award recipients. January 20, 2014. WILL Founder and President Steve Abraham participates on Washington & Lee University School of Law MLK Day Panel. August, 2013. 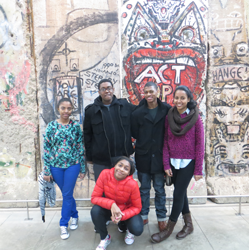 Steve Abraham, WILL Founder and President was featured in the DC Alliance of Youth Advocates (DCAYA) August Newsletter. Follow this link and scroll down to “Member of the Month” to read the interview with Steve. requests for funding. WILL is pleased and honored to be 1 of the 30 organizations to receive The North Face Explore Fund Grant. The Grant supports organizations or projects which are dedicated to getting more youth outside, connected to nature, and understanding the importance of environmental stewardship. May 2012. WILL is chosen for inclusion in the 2012-2013 Catalogue for Philanthropy as one of the finest community-based nonprofits in the Greater Washington region. The Catalogue’s goal is to build networks of engaged donors and great nonprofits who will make a difference. It also provides charities with a stamp of approval that tells donors they can invest with confidence because the Catalogue vets its family of nonprofits with great care. April 2012. Boston University’s Center for Digital Imaging Arts – DC Campus taps WILL for Spring Website Design Practicum resulting in a wonderful new look for WILL on the web. Many thanks to Jared Czerew, Kanon Kennedy, Mary Harrington, Nico Staple and to the CDIA faculty and staff, especially Meaghan, Jim, and Seth. December 7, 2011. WILL was selected by WJLA Anchor Leon Harris as a Harris Hero. Click here to see the segment that aired on Channel 7. Click here to view the segment.